WinCustomize is officially an adult now! 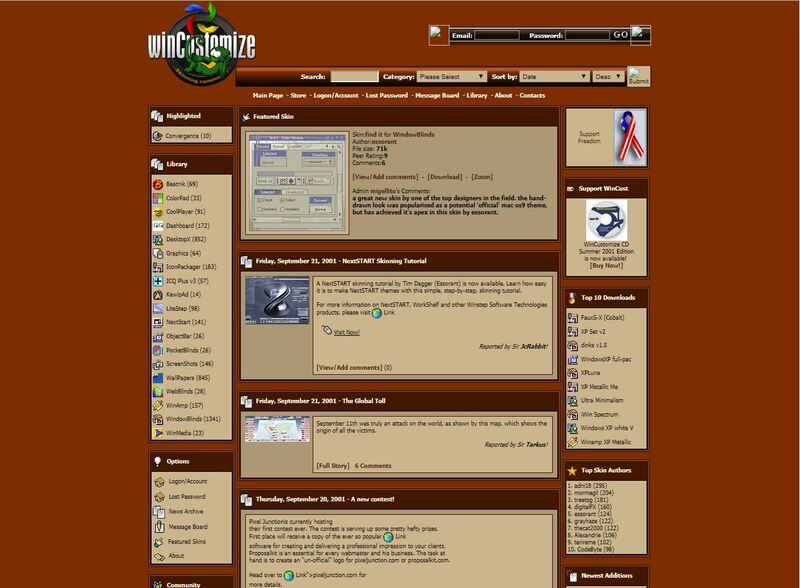 Launched way back in 2001 after the dot-com bust took out some other skinning sites, WC has since become the largest site on the Internet dedicated to the customization of the Windows desktop. Today we have over 2.3 million members, 106,240 total skins on the site, over 13,000 skin authors, and a total download count of 379,771,119. That's a lot of downloads! 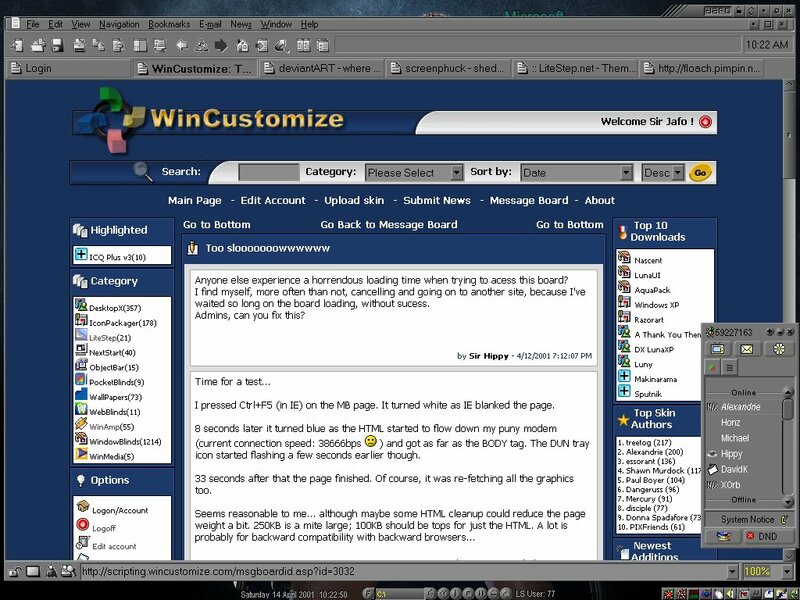 Here's a bit of history on WinCustomize. 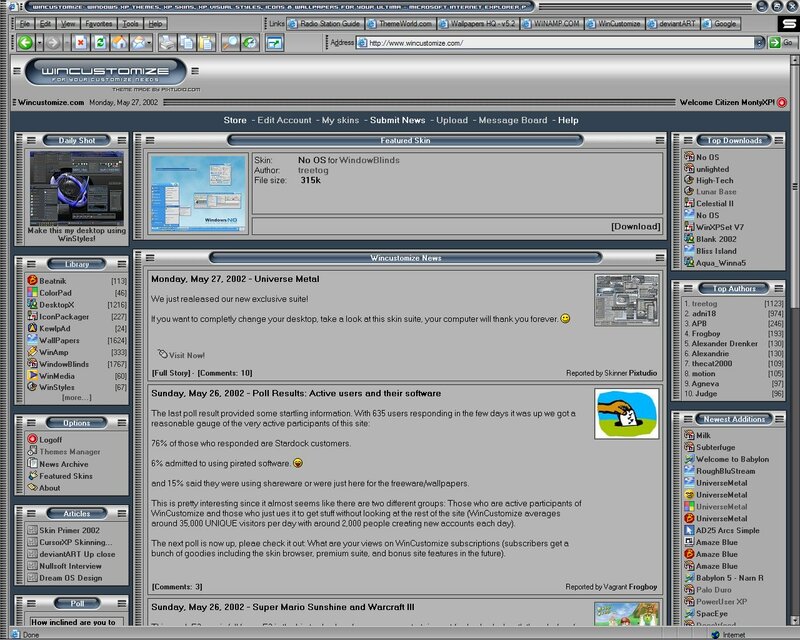 The site launched on March 13th, 2001 and was originally put together rather quickly after the dot-com bust took out some other popular skinning sites. Here's a screenshot of the site back then. Love those colors, right? A couple of years later in 2004, we did an overhaul of the site design and released an updated version. This version tried to focus a bit more on the skins, and tabs...we added tabs, too. 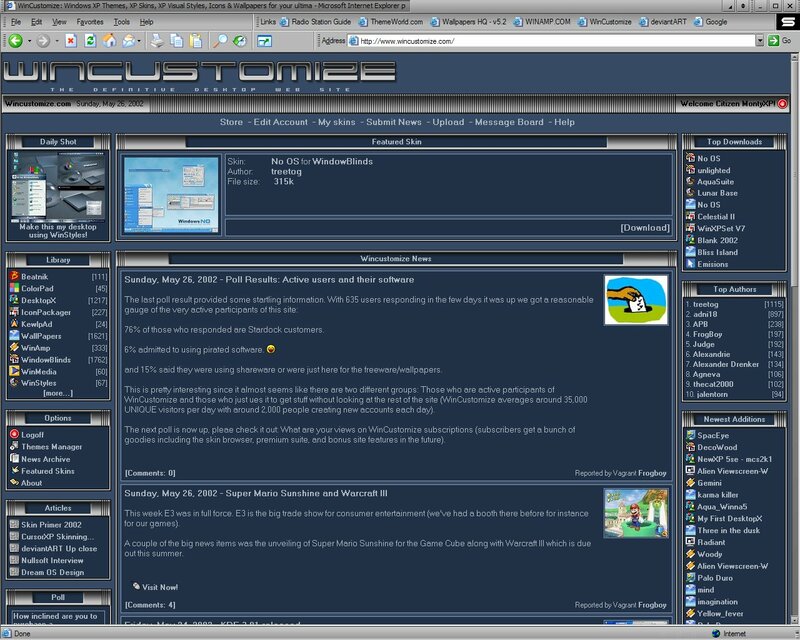 2007 brought us another update where we wanted to streamline the front page and went with a bit of a darker theme. That brings us to the big 2010 update, where the site got a major redesign. It focused less on the news, and more on all the great skins we have. Although we've done some minor updates through the years, many on the code side of things, this is the current design for today. 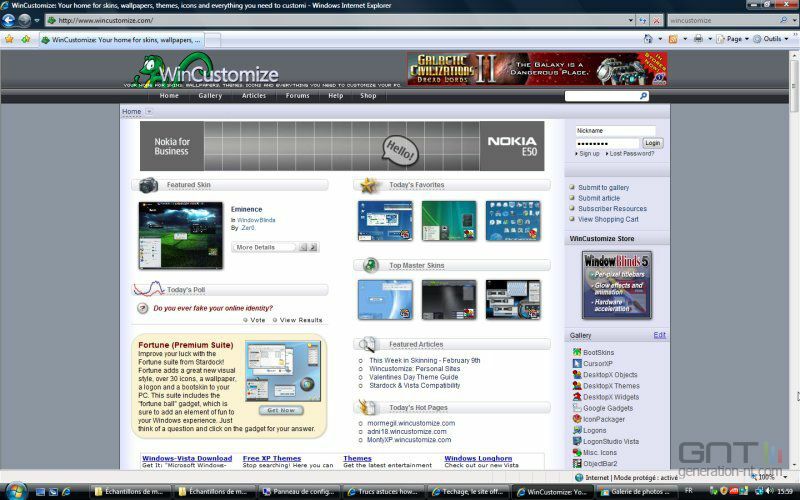 How many of you remember and used the WinCustomize Browser? I sure did! On behalf of WinCustomize and Stardock, I would like to say thank you to all our community members and skinners for your contributions over the years. You have made the site what it is, and we continue to appreciate your support! To say thank you to our community, we are having a limited-time anniversary sale where you can get a 1 year membership to WinCustomize for 50% off*! Very cool to see ! That's how I got started here at WC. I remember the WC browser. Those were the good ole days! It's funny to think back, but in the beginning, my nickname was JavaBrain, for my love of coffee. But, everyone assumed I was a Java programmer, so I changed it. So much has happened over the past 18 years! We could write a novel over all of it. Happy Birthday, WC! Here's to many more years! 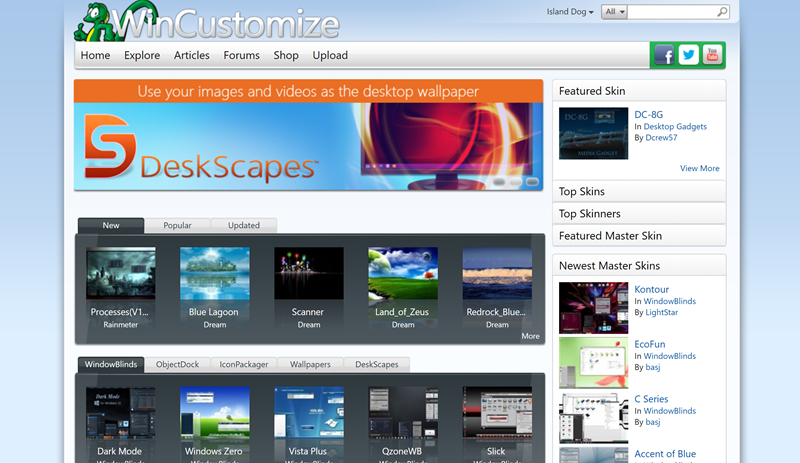 Shouldn't a site dedicated to customizing your PC look like it was designed for it? Still optimized for 1024 pixels screens width? Do any of you use that? Last update in 2010 looked outdated on launch day and if I were to come here for the first time today, I sure as heck wouldn't expect or try to find anything of interest, especially after discovering that most of the good stuff are premium skins. The thumbnails on the front page are 100x75(!) or something like that, and noone can tell what they are trying to show without clicking it, so they are worthless. I could go on, and on, and on, but to me this is more like the death of skinning than a birthday to celebrate. Then came " Deskscapes " and I finally had an outlet to put these skills to use. it seems to have been a good thing for both myself and WinCustomize. ALMonty- nice screenshots of the skins that were available for that version of the Website! That was a bit too crazy to sustain, but it was neat! Glad you had those screenshots- I was trying to locate some and totally failed at finding them, lol. Glad you had those screenshots- I was trying to locate some and totally failed at finding them, lol. Couple of names there in the ICQ... DavidK in particular. I was talking to him [on ICQ] on 9/11. Happy B'Day WC. You were only five when I joined up.